Ji-Hae is just your normal girl in love with the school's hottie. 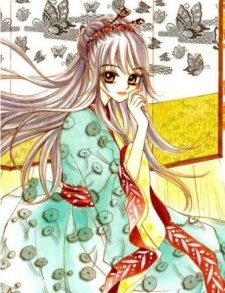 She falls in love with Seung-Hyu at first sight with his good looks an appears to have an obsession with him. However the more she appears to get closer to Seung-Hyu, the more irritated he gets with her. On his birthday, Ji-Hae plans surprises throughout the school especially for him, embarrassing Seung-Hyu and making him crack. He confronts Ji-Hae and explains how annoyed he is with her to the point that either Ji-Hae or he will need to leave the school. Ji-Hae tries to apologize but Seung-Hyu unintentionally pushes her down a fleight of stairs. After coming across the Gods, she is told that it is not her time to die. Yet she would rather die then face the terrible rejection. Finding sympathy with Lady GameunJang, she gives her a second chance at life - With a twist. Now Ji-Hae is bound in the Silla era of Korea. Fulfilling her role as Ari, a nobleman's daugter and another alias Seung-Hyu, a skilled fighter in Korea's elite archery squad. Doing whatever it is possible to fix what went wrong between her and Seung-Hyu in a past life. When Ji-Hae arrives in the past, she uses Seung-Hyu's name as her boy alias so that she could take part in the Hwa-Rang. Despite the fact that Bub-Min-Rang helped her disguise as a boy and tries to protect her secret, eventually everyone finds out. It is explained that Lady Ari (Ji-Hae in a past life) had fallen in love with Ja-Yun (Seung-Hyu in a past life). Ja-Yun rejected her proposal of marriage, reasoning that a woman of such high class could never be with a commoner like him and that he already found a fiancee. Ari figures out that this fiancee is So-Dan and Ari is filled with jealousy. Going as far as to create a plan for So-Dan to be given away to a rich perverted old man. The plan goes just as expected but it backlashes. It is implied that So-Dan committed suicide over the depression of being thrown into such a marriage which causes Ja-Yun to become furious and vows to gain revenge against whoever caused her death. This holds great significance to Seung-Hyu and Ji-Hae's future since Seung-Hyu appears to always be angry with Ji-Hae. Ji-Hae is so upset about her actions when she was Ari that she swore to protect So-Dan. Swearing she will not let people's lives get ruined because of her emotions, even if it means Ja-Yun will not love her.